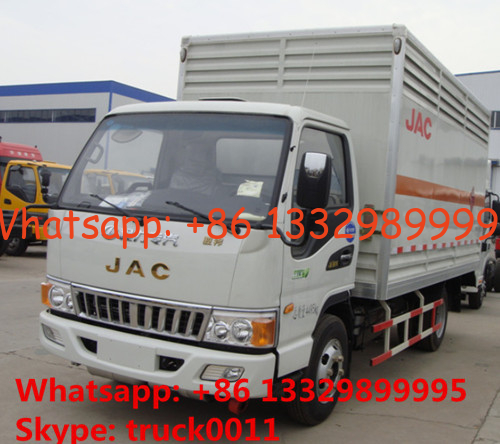 Gas cylinder transport truck is also called inflammable gas transport van truck, gas cylinder transport van truck,etc. It consisted of truck chassis, van box body. 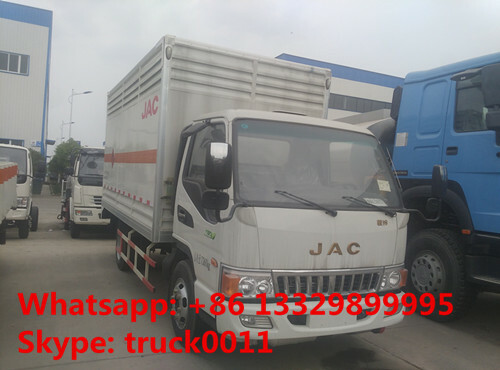 The chassis is with ABS, steering wheel, front exhaust pipe, speed limiter,etc.which is special purpose for hazardous article transportation. The external of the box body is cold-rolled plate,middle is insulation and flame retardant materials and inner is aluminum. The side is with natural ventilation window, as well as safety guard and band to fix the goods. The top is with gas induction alarm which is used to sense if there is any gas leakage. The anti-static rope and extinguisher is also equipped. Our CLW gas cylinder transport truck is very safe. 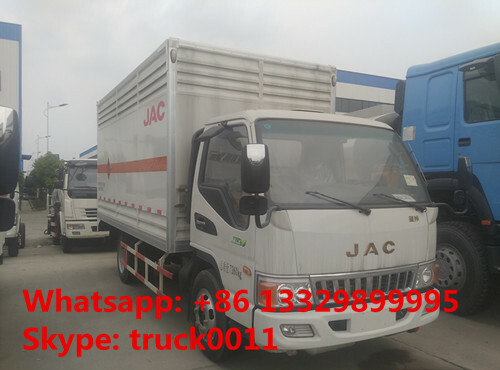 More pictures of hot sale JAC brand gas cylinders carrying vehicle as below.